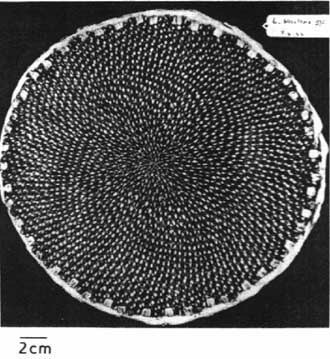 Mature Heliantus annuus capitulum showing Lucas (76,47) phyllotaxis (mature seed packing). From: Ryan G. W., Rouse J.L. and Bursill L.A. : Quantitative Analysis of Sunflower Seed Packing.